Spring Picture Day Coming Up! 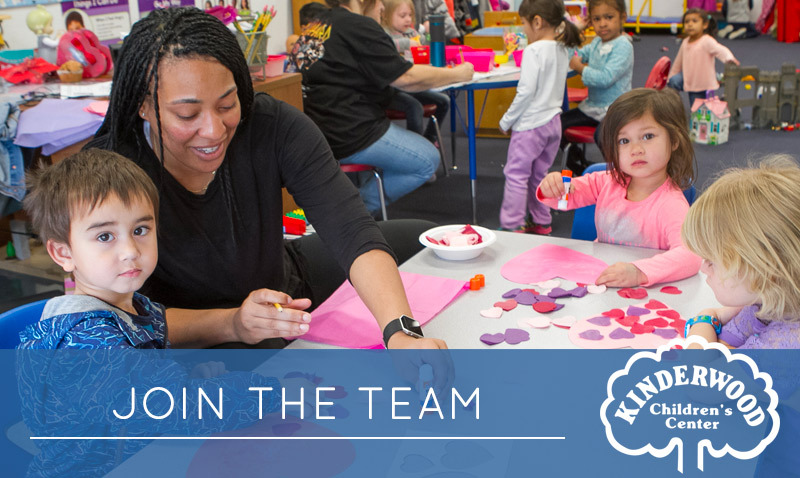 Learn about our incredible staff and all the people who make Kinderwood so special. Learn about each class room and where your child would be spending there day. 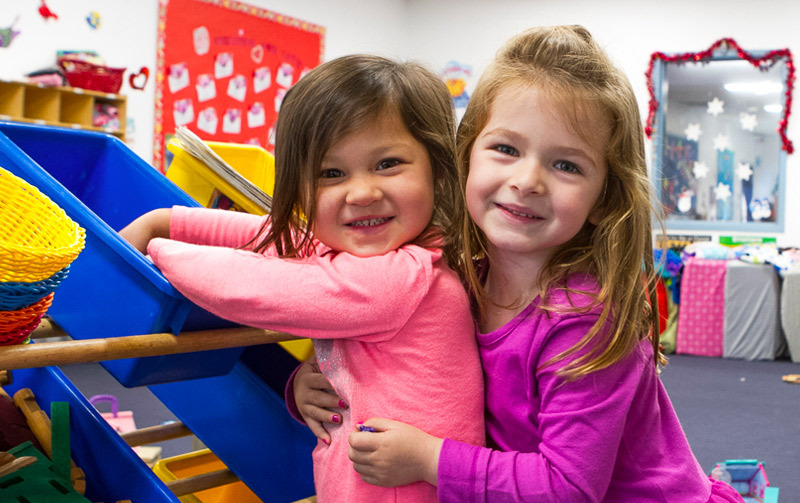 Learn about tuition and enrollment and see how you can become part of the Kinderwood family. 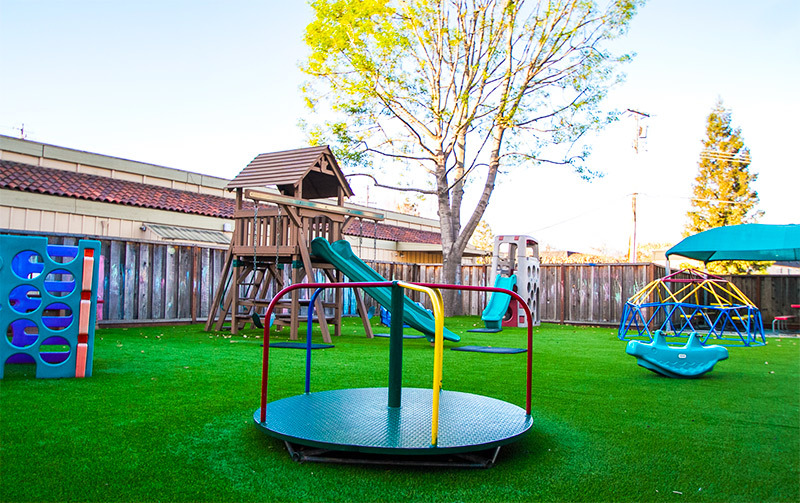 Kinderwood Children’s Center was established to serve the families in the community in 1980. We recognized the need for working parents to be assured their most prized possessions, their children, are taken care of in the cleanest, safest, most pleasant atmosphere possible. 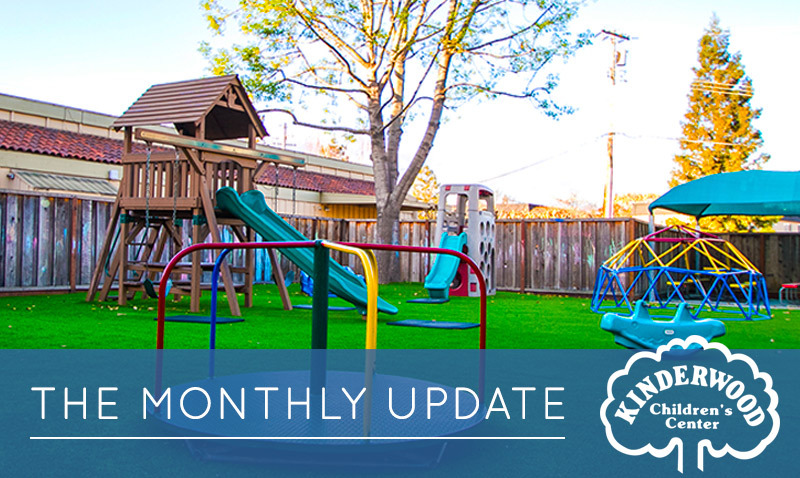 Kinderwood realizes the importance of balanced growth and is dedicated to providing for the social, mental, and physical development of your child. We provide an educational experience in a warm and friendly environment for youngsters SIX WEEKS to FIVE YEARS of age. Our service has grown from a sincere love for children and a deep desire to help your child associate with other children and cope in a modern world. 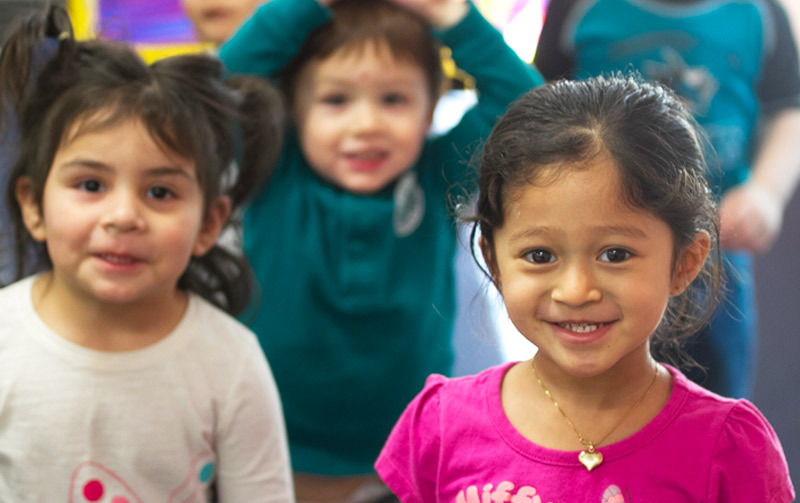 We are open to all children, regardless of race, creed or national origin. Our program balances opportunities for self-choice with teacher-directed activities. Choices range from quiet library time, fine motor/manipulative activities, and sensory/tactile activities to social skills. Large muscles are developed though supervised exercise in our well-equipped playgrounds. Our many play yards provide age separation and appropriate activities. Teacher directed activities include meal, circle and storytime, art, music, language, developmental skills and science. Our children are divided into age groups so that the teachers may focus on appropriate development for the particular age. We serve breakfast between 7:30am – 8am. We also serve lunch and a pm snack. Toddlers receive two extra small snacks. Our meals and snacks are all nutritionally balanced, using the four basic food groups. 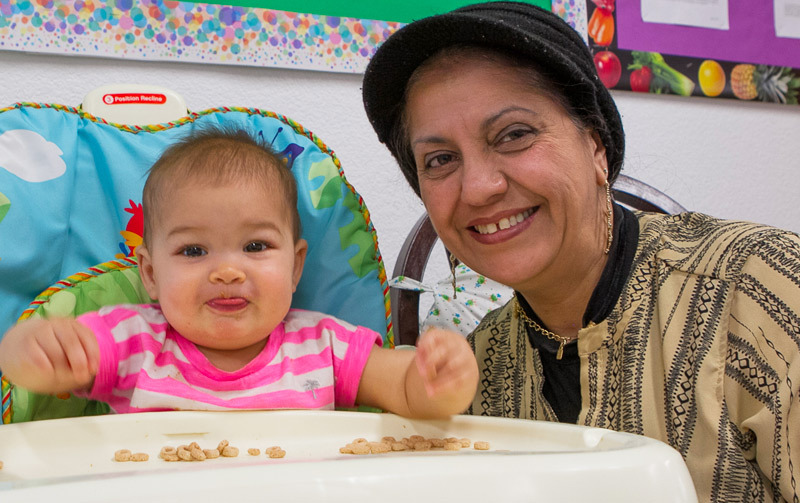 “A warm, sanitary, caring environment for infants ages six weeks to two years.” Each infant caregiver attends to no more than four children, forming bonds of trust and loving relationships. Activities for the very young include motor development, language development, music, art, social interaction, and toilet training. It is our goal to make your child’s separation from you during the day as pleasant, as educationally rewarding, as emotionally stimulating and as safe as humanly possible. 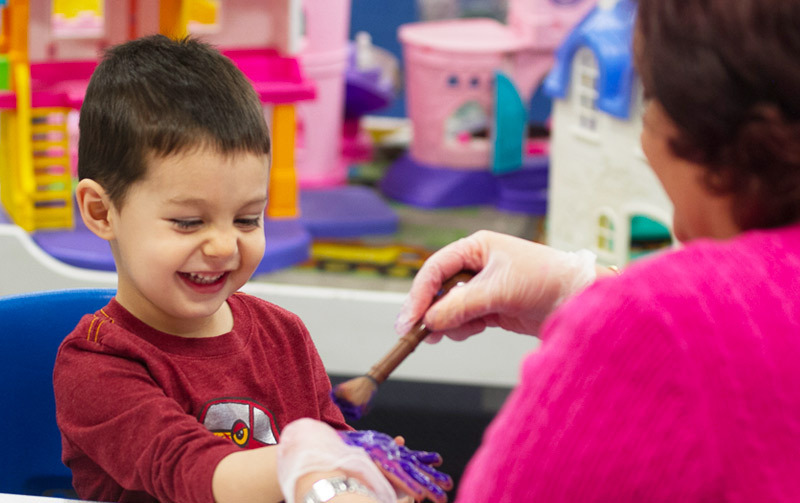 “A special place to begin learning for children ages two to five years of age.” Experiences are designed to arouse curiosity, challenge physical and intellectual ability, encourage self-expression, and help children develop a good self-image. Both full-day and morning programs are available for three to five days a week.